AVA Systems LimitedLighting up Sligo! 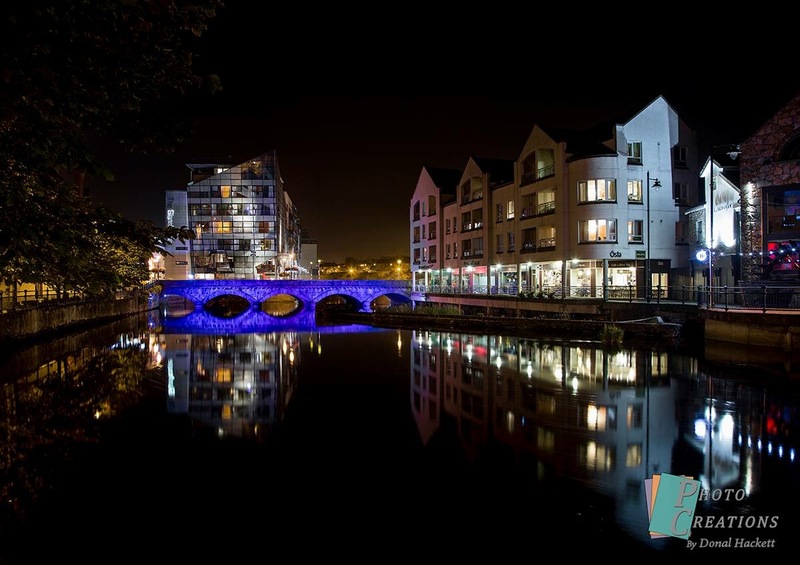 In 2015 we were successful in winning the tender to design, supply and install architectural lighting for three bridges on the Garavogue River in Sligo Town - Hyde Bridge, Markievicz Bridge and the Footbridge linking Rockwood Parade to Stephen St Car Park. 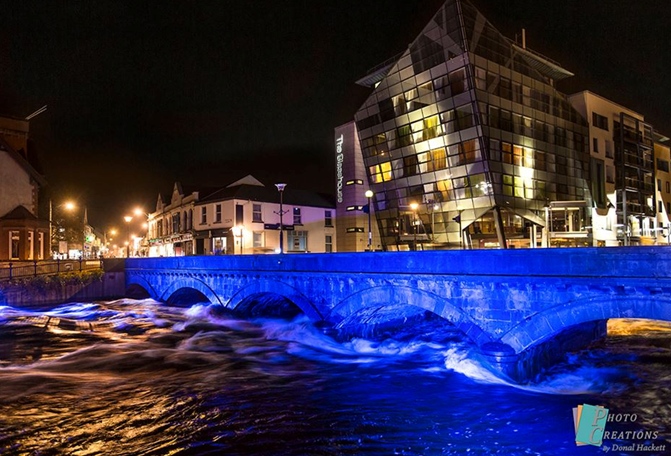 Lighting of the bridges was the brainchild of the Sligo Business District Project, a collaboration between local businesses and Sligo County Council, under an InterReg Project. The three bridges, two of which date from the 19th century and are protected structures, each needed a bespoke solution in order to accomplish the effect desired. The choice of luminaires, restricted mounting positions, the tidal river and power management challenges all contributed to making this a formidable challenge. In order to maintain the integrity of the protected structures we handcrafted lighting positions and fixed them to either side of the river promenades, while we solved the power management solution by connecting them to the town lighting and fixing a timer switch to come on at the right time. On top of all this we made sure to include colour changing lights so we can adjust for any big days coming up. Thinking of visiting for St. Patricks day? Why not come and see how we lit Sligo up green! Have you any lighting challenges we can help you with? Contact us today so we can come up with a new solution for you or your business!